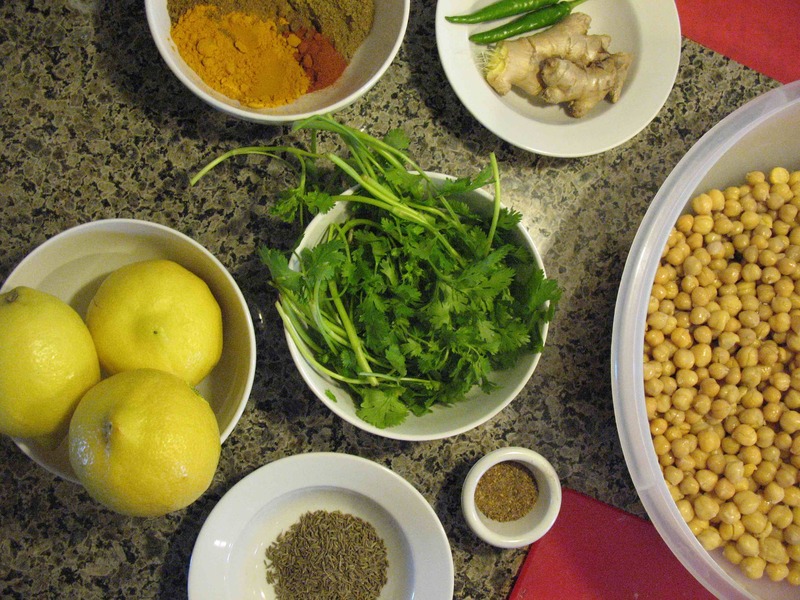 An expat imports her panache and passion for Indian cooking to the central highlands of Mexico. 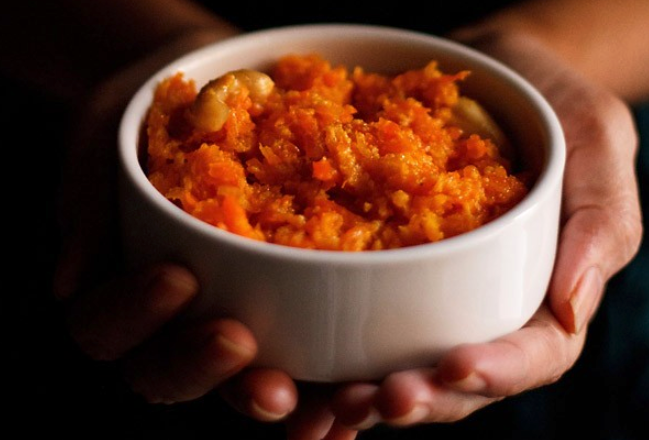 Plus, simple recipes for mulligatawny soup with lentils, green beans & coconut, and carrot (gajar) halva! Twelve years ago, feeling called to a specific pinpoint on the map, I moved to a rural mountain village in the south central highlands of Mexico. There I gave myself the best gift of my life: three years of doing exactly what I wanted. In contrast to my life previously, it was a palpable lesson in the value of following my heart and dreams. For three years I lived frugally but comfortably from the sale of my house in the US. When the money petered out and my bank account was down to $1100, I needed to find some work, fast. At one of the monthly women’s fires I shared the story of my situation and the panic I felt. A friend who is an entrepreneur approached me with a proposal. “I’m too busy to cook for myself,” she said, “but I want to eat well. If you come to my house once a week and cook some dishes, I’ll pay for your groceries.” Grateful to help someone with my skills — and have my own food purchase worries taken care of — I accepted. When I fantasized about what I’d prepare, that was easy. She said she disliked Indian food and had a particular issue with the spice cumin . . . This opportunity eventually turned into a business where I was leading classes. I started out teaching how to make fried snacks, spiced flat breads, vegetables my mother-in-law taught me, rice and yogurt specialties from Karnataka, dals inspired by Punjabi restaurants in Chicago and England, and other recipes I’d picked up along the way. My focus was on home cooking from the state of Gujarat, which I knew well from my travels in India. At these classes for up to 25, I'd lay out the ingredients, tell stories and demonstrate techniques while students chopped and stirred and asked questions — it was a delightful working conversation. When the cooking was done we sat at round tables with linen table cloths and relished the meal and our thoughts about how we had put it together. That was seven years ago. Just last week a fundamental principle about Indian cuisine was raised at a class. A local woman who has a restaurant came to my class, and when we went around the circle taking turns to introduce ourselves, her story surprised me. She said she disliked Indian food and had a particular issue with the spice cumin, that made her feel ill. Smelling it was not a problem, but when it was used in dishes she found it not only overpowering but sickening. When she visited her daughter in San Fransisco and they would go to and Indian restaurant, she’d bring her own food. So, when you go to an Indian restaurant, ask the waiter to ask the chef whether the cumin in the spice blends have raw or roasted cumin. If raw, you can specifically request that the chef roast the cumin in your dishes. 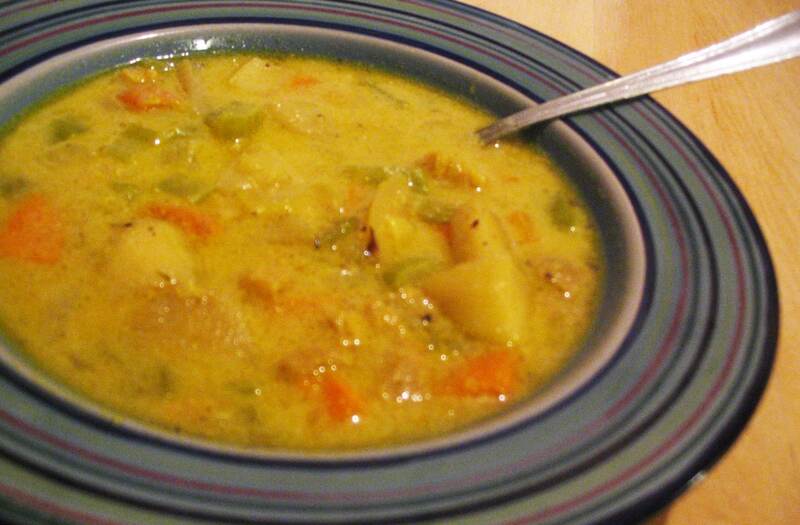 Mulligatawny means “pepper water” and is believed to be loosely based on a stew the British loved that their Tamil servants would often serve. 1 Heat the oil. When very hot add mustard seeds and cook until they begin to pop. 2 Add onion and ginger and garlic, until tender. 3 Add garam masala, turmeric salt, cardamon and cayenne and stir to coat onion, ginger and garlic. 4 Add the tomatoes and simmer for 5 minutes. 5 Add the stock and lentils and bring the mixture to a boil. 6 Reduce heat, partially cover and simmer for 1 hour, until the lentils are tender. Stir in coconut milk and simmer 2 minutes. 7 Remove from heat and stir in spinach and lemon juice and sugar (optional). Chopping, stirring and a delightful working conversation. A unique south Indian vegetable dish with a delectable combination of garlic, coconut and savory spices. 1 In a pan, heat oil on medium to high heat. 2 Add the mustard seeds and allow them to start spluttering. 3 Add dry red chilies, garlic, turmeric powder, in that order. This process has to be done fast; make sure you stir it so it doesn't burn. 4 Add the the green beans and coconut and stir well. Cover the pan with a tight lid and let it cook covered, stirring occasionally. 5 Once the green beans have cooked, add salt and finish cooking uncovered. A satisfying yet delicately flavoured dessert made with carrots, milk, dried fruit, nuts and aromatic spices. 1 Heat carrots and half-and-half to boiling in saucepan; reduce heat. 2 Simmer uncovered, stirring frequently, until all the half & half is absorbed, about 45 minutes. 3 Stir in the sugar, raisins, butter or ghee, cardamom and salt. 4 Cook over low heat, stirring constantly, until all of the sugar is dissolved and the mixture is of your desired consistency, (pudding-like) about 15 minutes. 5 Garnish with slivered almonds. ROBIN RAINBOW GATE spent three years in North and South India where she learned to cook the local cuisine. 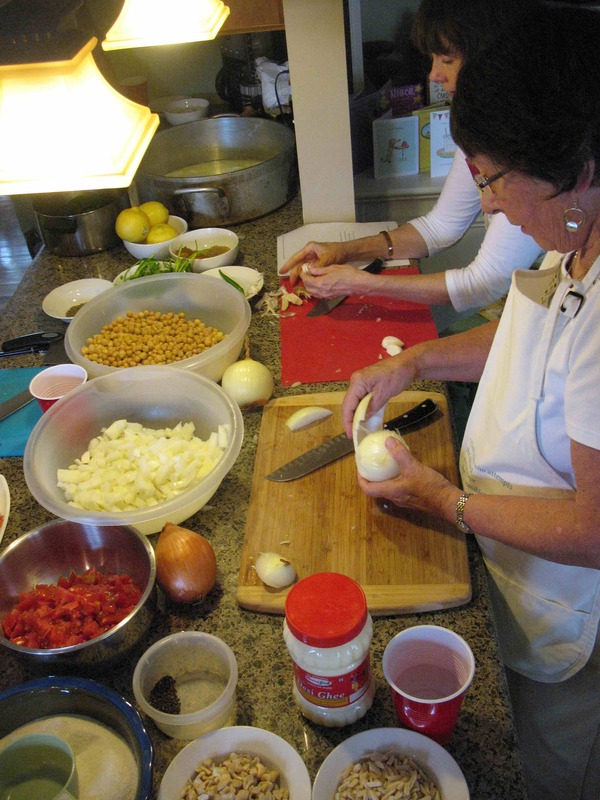 In the US she cooked Indian and Middle Eastern vegetarian food professionally. Robin has lived in a small mountain village in Mexico for twelve years, near Tepoztlan, where she offers group and private classes.